Dr Tingting Wang completed her PhDs in computer science at Latrobe University, Melbourne. Her PhD subject was entitled with 'Computationally efficient genomic prediction on the whole genome sequence data in dairy cattle'. The project involves the development of computationally efficient genomic prediction methods using machine learning and data mining algorithms. 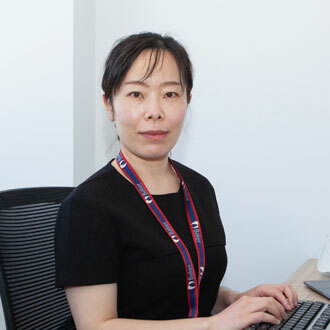 In 2016, Tingting did her postdoctoral at the Department of Economic Development, Jobs, Transport and Resources under a project titled 'MIRprofit: integrating very large genomic and milk mid-infrared data to improve profitability of dairy cows'. In December 2017, Tingting joined the Systems Genomics Laboratory at the Baker Institute to apply her skills on the human genetics. Now she is working on the development of the algorithms and pipeline for genomic prediction and QTL mapping using human DNA data.